The 80-foot neon guitar that stood tall over the Hard Rock Cafe since 1990 will soon have a new home. Once the six pieces are reassembled the guitar will be the largest restored historical artifact in the Neon Museum. Moving the guitar to the boneyard for iconic Las Vegas signs is part of a $350,000 preservation effort. The process began Monday when a donor commemoration piece was hoisted into place shortly after dawn. Founded in 1996, the Neon Museum officially opened Oct. 27, 2012. Some of the signs date back to the 1930s, when gambling was legalized in Las Vegas. 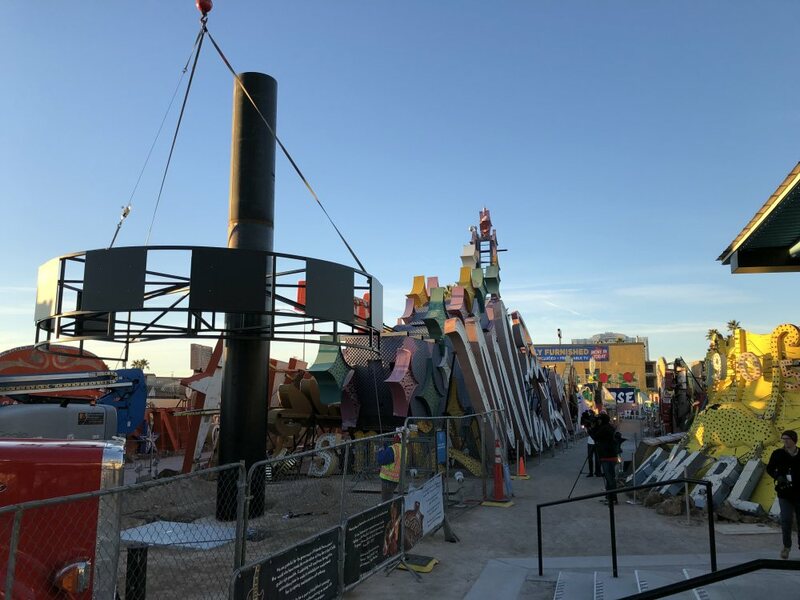 At dawn on Monday, a worker prepares for the arrival of one of the six pieces of the Hard Rock Cafe guitar at its new home —the Neon Museum. The La Concha sign was part of the motel that opened on Las Vegas Boulevard in 1961 and closed in 2004. Guests included Muhammad Ali, Ronald Reagan, Ann-Margret and Flip Wilson. The donor commemoration piece of the Hard Rock Cafe guitar arrived at the Neon Museum on Monday. Five more pieces will follow. The Stardust and Riviera gave old Vegas a lot of star power, starting in the 1950s. The former lobby of the LaConcha Motel is the epicenter of the Neon Museum. Sassy Sally’s resided on Fremont Street. She was later named Vegas Vicky, a cowgirl who became Vegas Vic’s sidekick. he Hard Rock Cafe, once home to one of the two iconic neon guitars in front of the Hard Rock Hotel, closed two years ago. 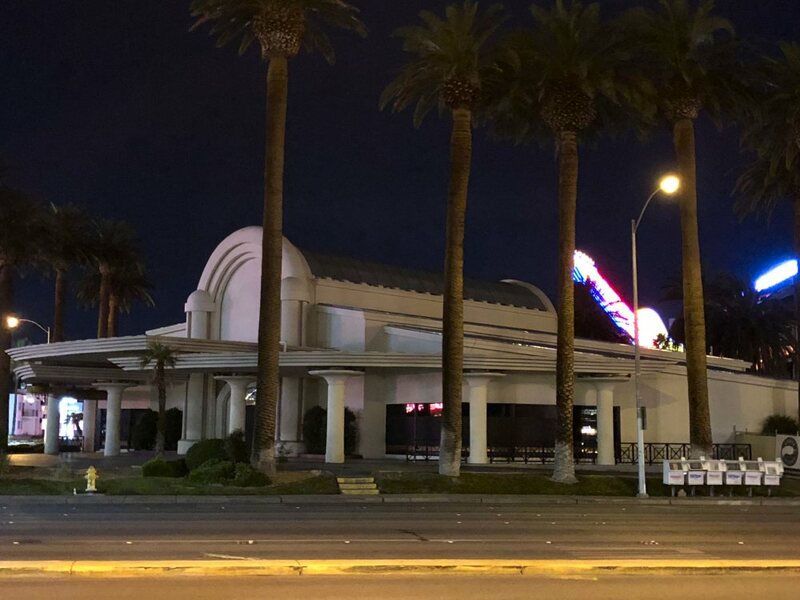 Here’s the place where you can make an old Vegas entrance. Early light reflects off the Aladdin’s genie lamp on Monday. The Liberace sign pays homage to the highest paid entertainer in the world. The Riviera lured him to Las Vegas a whopping $50,000 per week salary in 1955.